One ticket to San Francisco, please! 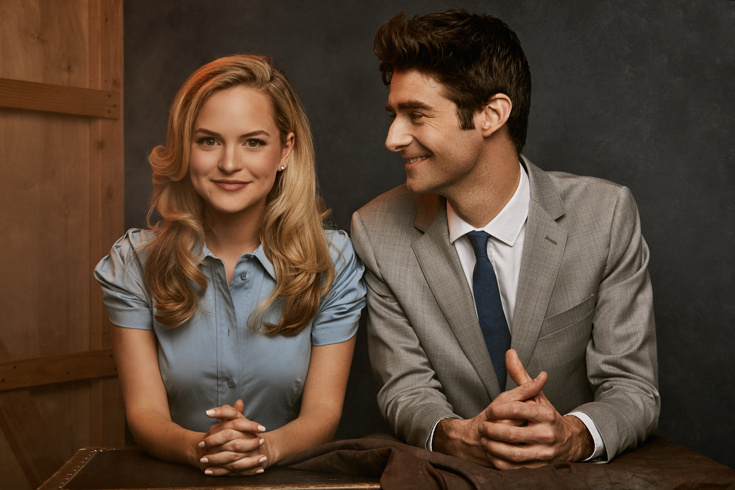 As previously announced, newcomer Stephanie Styles and former Waitress star Drew Gehling are set to star in the pre-Broadway engagement of Roman Holiday, and we've got a hot shot of them exuding that old Hollywood class. Based on the iconic 1953 film starring Audrey Hepburn and Gregory Peck, the new musical will premiere as part of SHN’s 2016-2017 season this summer. Directed by Marc Bruni, the new musical will play SHN Golden Gate Theatre in San Francisco prior to a Broadway bow in fall 2017. Styles and Gehling definitely look the parts, and we cannot wait to see them in action on the Great White Way! Take a look at the hot shot, bring us to San Fran with you if you're going and stay tuned for Broadway updates right here on Broadway.com.